Brian Williams reportedly will not return as NBC Nightly News anchor. 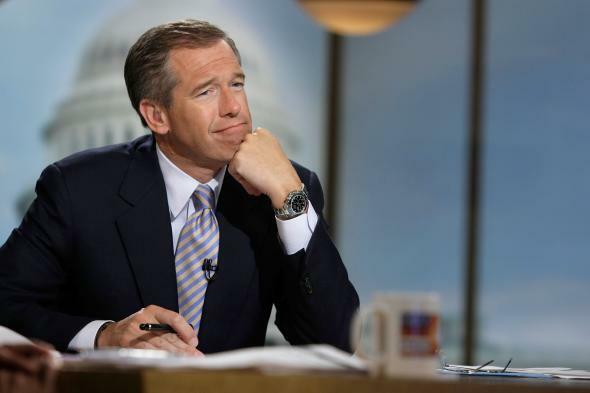 Brian Williams in a thinking pose. Four months after Brian Williams was outed as a habitual fibber and suspended, NBC News has decided Williams will not return to the anchor’s chair, the New York Times is reporting. Williams and NBC have come to a tentative agreement about keeping him elsewhere at the network, CNN reports. “Mr. Williams is expected to move to a new role primarily at the cable news network MSNBC, probably in a breaking-news capacity in the beginning, according to one of the people,” according to the Times. Lester Holt, who has been filling in for Williams during his six-month suspension is reportedly expected to stay in the anchor chair on a permanent basis.